The Center for Disease Control and Prevention released a series of reports on Wednesday including life expectancy and mortality rates for suicide and drug overdose. The data in all three revealed troubling trends in how the nation as a whole is performing, including the steady increase of deaths from drug overdose deaths and suicide. The life-expectancy declined to 78.6 years of age for both sexes, a decrease of 0.1 from 2016. This is linked to the 10 leading cases of death in the United States, accounting fro 74% of all deaths in the United States in 2017. Number 10 on that list is suicide, which has increased from 2016 to 2017 to 3.7%. This number has steadily risen over the years and is predicted to only increase. 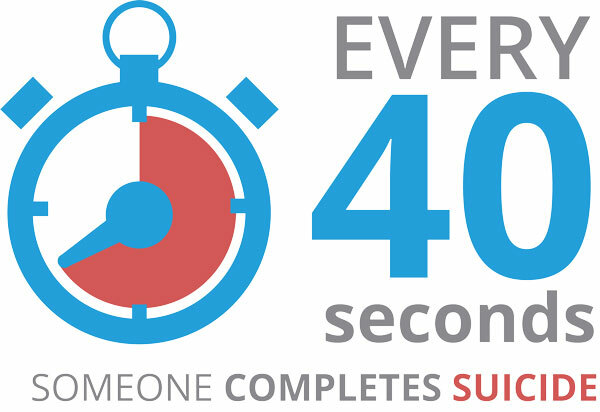 Several organizations are doing everything they can to decrease this number including assessURhealth and the American Foundation for Suicide Prevention (AFSP) with their goal to reduce the rate of suicide by 20% by 2025. 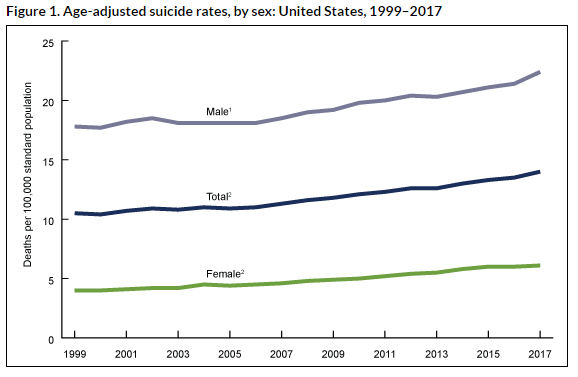 The CDC released a report specifically focusing on suicide mortality in the United States from 1999-2017, that increased to 33%. 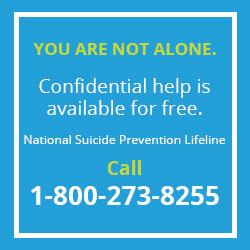 Suicide has ranked 10th leading cause of death since 2008, and in 2016, suicide became the 2nd leading cause of death for ages 10-34. The report breaks down this increase in suicides in the past 18 years by age, gender, ethnicity and more. 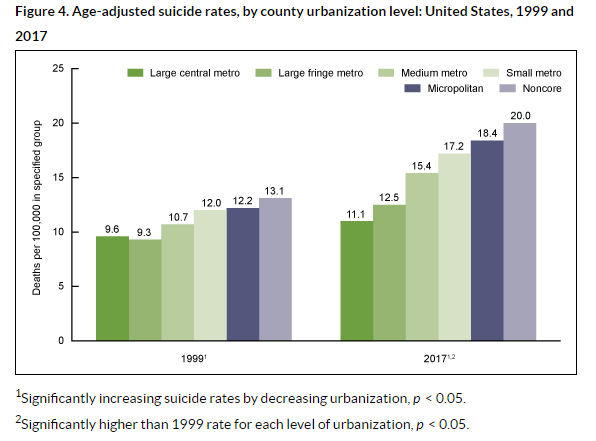 This includes a statistic stating that in 2017 the age adjusted suicide rate for the most rural counties was 1.8 times the rate for the most urban counties. This particular statistic notes the importance of Federally Qualified Health Centers (FQHCs), Rural Health Centers (RHCs) and Community Health Centers (CHCs) that are receiving grant dollars, such as the SUD-MH grant to expand substance use disorder and mental health services. 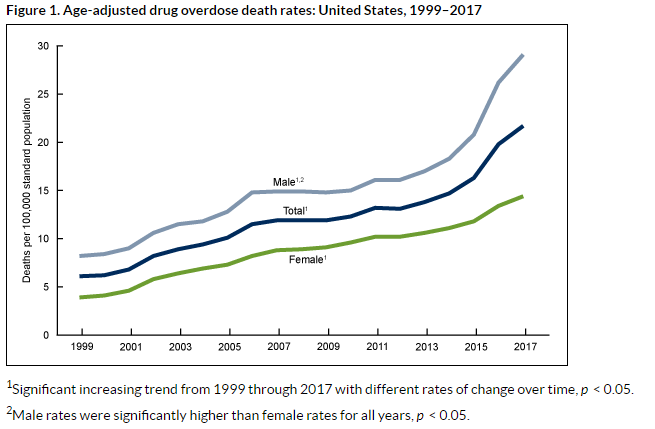 The report on the overdose deaths in the United States was particularly troubling with the amount of drug overdose deaths rising 9.6% in only one year. There were 70,237 overdose deaths in 2017 equaling more than all of the casualties in the Vietnam War which lasted approximately 20 years. These alarming statistics are one of many reasons we, as a nation, are focusing so much on mental and behavioral health. Prevention is so vital in reducing the number of deaths and increasing mortality in the U.S. and the world. Preventative services and implementing evidence-based strategies, such as Screening, Brief Intervention, and Referral to Treatment (SBIRT), are so important to not only treating patients but screening them to prevent unnecessary deaths. 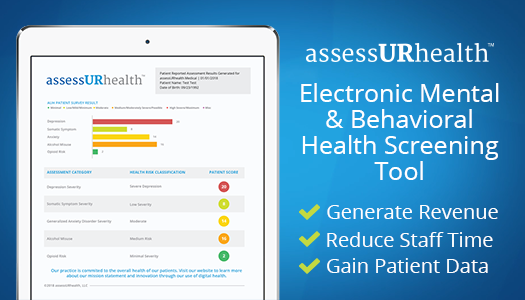 An electronic screening tool that can be easily integrated into these evidence-based strategies is assessURhealth™. assessURhealth is a patient-driven electronic mental and behavioral health screening tool delivered via an iPad. The tool screens for multiple categories including depression, opioid risk, alcohol misuse, anxiety risk and somatic symptom. This screening tool allows clinicians to get an instant report of the health risk classification of their patients’, so they can get them the help they need. 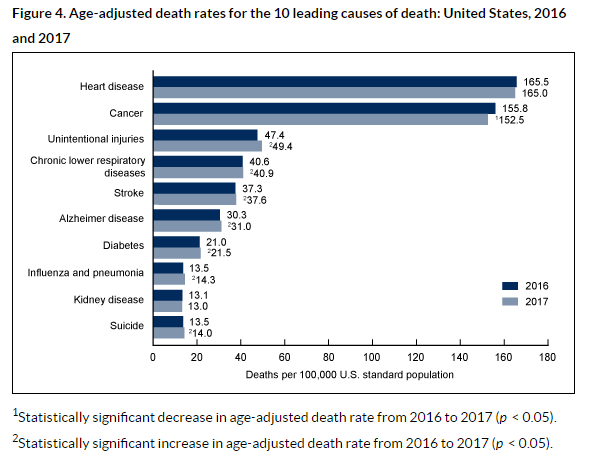 By using this tool within an evidence-based strategy, clinicians can help in reducing the death rate from suicide and drug overdose and potentially increase the life expectancy. Tampa Bay Tech Leaders: Mallory Tai Taylor, Cofounder, President, & COO at assessURhealth, #endthestigma champion.